Meteorologists are now predicting that early next week Hurricane Sandy will either pass close by or make a direct impact on New England. This storm is potentially huge, rivaling last year’s Hurricane Irene and the Perfect Storm of 1991. If you are closing on a property next week, you may want to consider pushing up the closing to before the hurricane makes landfall on early Tuesday. I realize that may not be possible at this point, but it’s worth a shot. If you have not secured a homeowner’s insurance policy, you should probably wait until the storm passes as most carriers will not write new policies right now. If there is substantial damage to a home you are purchasing, you’ll have to look to your purchase and sale agreement as to whether you have a right to pull out of the deal or proceed, provided you get the benefit of any insurance proceeds. Plan an evacuation route to the nearest shelter or “safe” area and keep a map handy. During emergencies, shelter locations will announced on the radio. Replenish emergency kits and supplies. Get lots of batteries and flashlights! Secure important documents from possible damage or move to a safe location. Develop a list of important phone numbers. Develop a plan to secure loose objects around the house; trim branches and trees. Ensure that your pets have collars and identification tags. Secure all loose objects outdoors. Secure all windows using plywood. Fill your vehicle with fuel. Listen to the emergency broadcasts of the storm. Be prepared to evacuate with emergency supplies to a predetermined location. Stay in doors and away from windows. Keep to the center of the building on the ground level. Listen to the emergency broadcast on the radio or television. Turn off all electrical devices and appliances that are not needed. Stay away from coastal waters, rivers, streams or other flooding areas. Do not try to cross flooded areas with your vehicle. Listen for instructions from emergency officials when the storm is over. In the largest national settlement since the tobacco litigation, the Boston Globe is reporting that Massachusetts Attorney General Martha Coakley is expected today to sign on to a settlement brokered by attorneys general nationwide with five major US lenders over the banks’ role in the country’s foreclosure crisis. As we wrote about here, in December of last year AG Coakley pulled out of the settlement and brought a historical lawsuit against the big lenders over foreclosure abuses. As reported in the Globe, Coakley has been been negotiating for days with lenders over the pact, which has been months in the making. Massachusetts is one of only a few states that have yet to agree to the settlement, which reportedly could total between $25 billion and $30 billion. The money is being promised by Bank of America Corp., JPMorgan Chase & Co., Wells Fargo & Co., Citibank, and Ally Financial Inc.
Massachusetts borrowers will receive an estimated $224 Million in benefits from loan term modifications and other direct relief. Massachusetts borrowers who lost their home to foreclosure from January 1, 2008 through December 31, 2011 and suffered servicing abuse would qualify for $14.6 Million in cash payments to borrowers. The value of refinanced loans to Massachusetts underwater borrowers would be an estimated $32.7 Million. 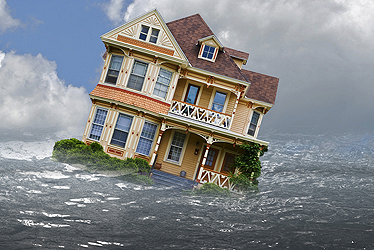 Banker and Tradesman is reporting that homeowners still living in underwater properties may get up to $20,000 each for principal reductions. That may not be nearly enough for many victims of foreclosure abuses. It’s unclear how much money will be available for much needed mortgage principal reduction and loan modifications. However, the state was told yesterday it could sign on to the pact without giving up its right to litigate other issues related to the five lenders and how they conducted foreclosures, according to the Globe. Under terms of the tentative agreement, Coakley apparently will still be able to pursue claims against MERS and lenders for foreclosures in Massachusetts without having the proper paperwork. For more information, here is the Attorney General’s Press Release. January in the real estate industry is typically the time for the new year market outlook. For this coming year many of us have seen the template on the macro-economic data which most impacts the real estate industry: 8.5 % unemployment in the latest report, 30 year mortgage rates at record lows at or below 4.0%, and 15 year mortgage rates at or below 3.25%. “I am optimistic that interest rates will remain low at least until the presidential elections. The uncertainty that has constrained spending and lending will keep things from taking off until there is a clearer picture of what policies will be in place (intervention and regulation vs. deregulation and free markets). The increasing debt woes of EU members creates short term demand for our mortgage bonds and treasuries which drives down interest rates. This won’t be fixed overnight. The housing collapse hangover continues to cause problems. The economy and in particular the housing market is still too weak to suffer increased interest rates. Rates will remain low until the cash on the sidelines is invested, employment improves and housing sees some recovery. The Fed has shown that they will move to buy mortgage backed securities and treasuries if we see rates start to rise and I can’t see them sitting on their hands if rates rise and threaten to derail this slow economic recovery. 2011 ended with a nice up-tick in sales according to the National Association of Realtors, however, sales remain depressed, as are several of the realtors I spoke with in the Metrowest and Central Massachusetts areas. Central Mass, in particular, seems to have borne the brunt of the home sales price reductions and sales lag. Unit sales within the Route 128 belt have held up nicely, although many homes have experienced a 5-10% appraised value drop, year over year. Interest rates have held steady at near record lows. While this is good news for first-time home-buyers and relocating workers, as home affordability is better than at any time in recent memory, many sellers are frustrated. As home prices continue to drop, more sellers are finding themselves with little or no equity in their homes. This not only makes them reluctant to price their home to market and sell quickly, for many of them, current rules on Loan to Value, are making them unable to take advantage of today’s low interest rates and refinance. Job creation – Over the past several months, it appears that the job market is improving. The Massachusetts unemployment rate dropped to 6.8% in December. Continued Low Interest Rates – While we may see an increase in 30 year fixed rates during the next couple of months, as the national economy shows signs of improvement, I do not expect a dramatic rise in rates. Homebuilder Sentiment – Nationally, homebuilding company optimism is making a strong recovery. Locally, several builders I have spoken with think 2012 will be their best year ever. Prices may be down, but in many cases so are cost of materials and labor. There are a few other reasons for optimism including an increase in household formation, as well as talk of programs to rent REO properties, which may help reduce vacant homes and stabilize prices. We have a lack of inventory in the greater Franklin area. More buyers and renters than properties on the market. A lot of sellers I talk to are waiting “until later in the year” to list. They need to get started on their preparations now because “later in the year” will be here before you know it! 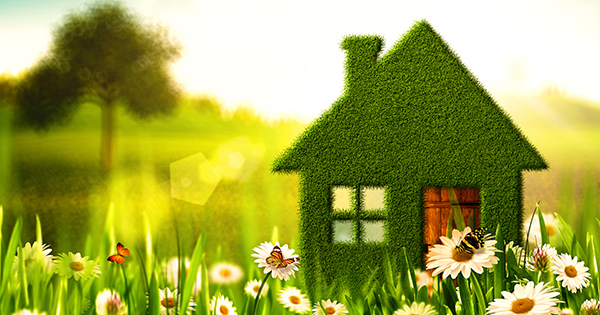 “I feel that the market will be very good for buyers and sellers this spring. Buyer can take advantage of the great rates and prices. It’s a great time to upgrade to a bigger and better home. It’s also a great time to buy an investment property since rents are on the way up. Marc E. Canner, Esq. is an experienced Massachusetts real estate attorney with offices in Needham and Bedford, Mass. He is a principal of TitleHub Closing Services LLC and the Law Offices of Marc E. Canner. Appraisals, Assessments and Zestimates, Oh My! Welcome back Guest Blogger, Gabrielle Daniels Brennan, from Coldwell Banker Residential Brokerage, Sudbury, MA, Check out her fantastic blog, Living In Sudbury (www.liveinsudburyma.com). What Is Your Massachusetts Home Really Worth? OK folks, you want to know what your house is worth? Stop obsessing over your town assessment and online estimates. At the end of the day, your house is worth what someone is willing to pay for it. But while you follow the sale prices of your neighbor’s house and e-mail me to ask what your house is worth (sight unseen), I’ll explain to you that it is neither an exact science, a mathematical equation, or a guesstimate. So many factors go into the value of your house. In this case, perception is, for the most part – reality. The location, the condition, the square footage, the updates, the amenities, the lot, the neighborhood, the neighbors, proximity to school, the floorplan – and so much more. Size matters, but it’s not the only thing. It’s so easy to want to use the two words interchangeably, but please know that an assessment and an appraisal are totally different things. These days, assessments may be in the general vicinity of the asking price. Not a lot of weight is placed on the assessed value as it compares to the true market value. Most are priced around the assessed value, especially if they sold in the past 10 years. The assessor’s office does not take into account all of the items within a house that a buyer perceives as valuable (age of systems, paint vs. 1970s wallpaper, neighborhood full of kids the same age, master bathroom rivaling the one at the Four Seasons in Nevis, etc.) Just the square footage, value of the land and the town’s rating of the neighborhood. APPRAISALS: An appraisal is a valuation made mathematically by a real estate appraiser for the purposes of providing security to the lending institution. The bank wants to be sure that the money it is loaning – for a refinance, home equity loan, line of credit or a purchase – can be recouped in today’s market if the owner defaults on the loan. Essentially, they need to know that they would not have a problem selling the house for the amount borrowed. The appraiser formulates his/her appraisal based on the sale prices of the houses nearby that would be comparable for the square footage, the amenities, and the condition. In some towns, it’s not necessarily apples to apples, because a house down the street may have been foreclosed upon, thus skewing the value of the subject property. Appraisals used to be more of a formality, and now they are extremely strict. As a result of the mortgage debacle, banks have cracked down and the rules have changed. Banks used to be able to communicate with the appraisers – now they have been prohibited from having direct communication. If you have recently refinanced and your appraisal came in at one price, it doesn’t necessarily mean that that price is what you would get from a buyer if your house went on the market. ZESTIMATES: I think Zillow is an entertaining and somewhat informative website. It is a great site to search for homes and to take advantage of all of the interactive features. The “Zestimate” is Zillow.com’s term for “estimate of the value of your house.” For houses in Middlesex County, Zillow states that its accuracy is 99 % of the homes in Middlesex County that are on Zillow. Ninety-nine percent of homes in Sudbury are on Zillow. Ninety-nine percent of those have “Zestimates.” Of that 99%, only 32% sold within 5% of their Zestimate. Fifty-eight percent sold within 10% of its Zestimate and 82% sold within 20% of its Zestimate. Median error is 8.3%. Dizzy? This means that if your Zestimate is $800,000, your sale price may be closer to $640,000 or $960,000. It’s a pretty big spread! So, fun site – yes. Accurate – not really. Why? The information pulled by Zillow is information that is available online – and if one piece of data is incorrect (it happens all the time) then everything is skewed. Zillow does not know what streets are busy, what houses have just updated their kitchen and bathrooms, furnaces, roofs, etc. Zillow also does not know the motivation of sellers. So, if your neighbors won the lottery and just wanted to sell the house so they could sail around the world and sold for about $50K less than they could have – according to Zillow, your house just went down $50K, also. Unless he or she has a really good sense of humor, please don’t tell your real estate agent that you disagree with his/her extensive analysis because your “Zestimate” states “X.” It would be like telling Todd English that you know how to make his signature dish because you just Googled the recipe. So, enjoy the site, have fun searching, reading the real estate news, etc., but don’t get excited or freak out because of your Zestimate. It will likely change the next time you log on. COMPARATIVE MARKET ANALYSIS: This is the best, and most accurate, way to know the value of your house. A comparative market analysis is written by a real estate agent. It would best completed by an agent who knows the market, knows each house that your’s would be compared to, and has his/her hand on the pulse of the buyers. A real estate agent preparing the market analysis should take into account everything about your house – the square footage, the condition, the style, the location, the demographic of the potential buyers, the market conditions, the intangibles, and the perceived value within the town. We then analyze the house in comparison with the houses that are on the market, have accepted offers, are under agreement and have sold (closed). A market analysis conducted today would not include sales from the spring as it was a different market. It’s also very important to have a sense of what comparables appraisers will use when appraising the house for the buyer’s mortgage company. So, assessments (pain in the assessment = taxes), appraisals (think = approximate), Zestimates (Zillow.com), market analysis (call me/real estate agent). Welcome back Guest Blogger, Realtor Gabrielle Daniels Brennan, from Coldwell Banker Residential Brokerage, Sudbury, MA! Gabrielle and her mother-partner, Carole Daniels, just launched a fantastic blog, Living In Sudbury (www.liveinsudburyma.com), which our company, HubConnected, designed and created. Having grown up in Sudbury and now settled there with her family, Gabby’s knowledge of the Sudbury and surrounding market is unparalleled. Plus, she re-defines “concierge” service, going so far as to ensure that her buyers meet their neighbors ahead of time, get local nannies, and find the right preschool. Gabby is writing today about the mutual respect buyers and sellers should have for each other during the real estate process. Home Buyers And Sellers, You CAN Just Get Along! Then, they found the house of their dreams. The dreams that mirror “happily ever after” — it was the house they imagined having babies (2 boys and 2 girls – the girls would be twins of course and would share a room painted with Benjamin Moore’s Cotton Candy). Both sets of parents came to see the house and everyone oooh’ed and ahhh’ed instead of bringing up the fact that the kitchen wasn’t updated, or that the family room was a little smaller than what they had thought it would be, or that the garage was under the house. The parents all talked about how happy they were and they never said anything that remotely sounded like “YOU paid ____ for this??? Our house cost $37,000 when we bought it …” And then the sellers threw a welcome party for the buyers before they moved in – just to make the proper introduction to the neighborhood. I’m sure you are thinking that this story is a work of fiction. Nope. Well, aside from the buyers volunteering to pay the asking price and the gushing in-laws, the concept of a truly pleasant real estate transaction doesn’t have to sound so foreign. Without compromising the financial objective of either party, the real estate transaction can be pleasant and satisfying to all parties involved. The decision to buy or sell a home is as much a personal transaction as it is business. It’s an exciting one, and a process in which I truly love being involved. And although it’s certainly not as straightforward as a show on HDTV about finding the right house, it doesn’t have to be challenging. As much as buyers would like to say that they won’t buy with their hearts, that is crazy – of course they will. It’s a home. It’s where you live. It’s where your heart is. Your life is not one big business transaction. Everyone remembers the details of their real estate transactions. Even if they bought or sold their house 12 years ago, they will tell you exactly how the buyers or sellers acted, the items negotiated during the home inspection, the credit they received, what they negotiated during the purchase & sale agreement, and the details that still make them happy or cringe. They may not remember the date they bought their house, but they will remember everything about the closing. I have been involved in scores of real estate transactions. When multiple persons are involved in the decision-making process for a major life event, so much can get lost in translation and people don’t always behave in a way that they, let’s say, would be proud of if a TV crew were following them around. In addition to the number of family members and friends who know EXACTLY what is best for you, there are many people involved in a real estate transaction — buyers, sellers, two real estate agents, two attorneys, possibly two paralegals, one mortgage broker, one appraiser, at least one inspector, and, sometimes, the nosy neighbor. If my intention with this piece were to promote the value of experienced real estate agents, this would be the part where I emphasize that it is the role of the real estate agent to quarterback the entire team involved to ensure that everyone wins. In general, buyers are excited to buy a house. When an offer is made, it is the beginning of negotiations with the seller with the goal of consummating the sale of the home. In today’s market, prices have adjusted and many sellers are having an understandably difficult time grasping the reality of the market. Because of the resources available in 2010, today’s buyers are also the most knowledgeable, well informed and cautious. The market value of a house is what a buyer is willing to pay. Without giving up any money on the sale side and overpaying on the buy side, there are so many ways in which to make the real estate transaction one that is not so painful. My thoughts below may seem pretty uncomplicated, and that is my objective. It is easier to have a smooth and seamless transaction than it is to have one that feels more like an act of Congress. It is a business transaction, but the basis of the transaction is emotional. You certainly don’t have become new best friends, but cordial is always appreciated. 1. MUTUAL RESPECT. The tone of the entire transaction is set with the first round of communication between both parties. * BUYERS: Be respectful of the sellers and their real estate agent. This does not translate into paying more. It shows that you will be a pleasure to deal with. Appreciate your sellers. They have cared for and maintained the house you fell in love with. * SELLERS: Appreciate your buyers. They love your house enough to buy it. If you receive an offer the first day on the market, it is because your house was priced right and the buyers know the market. Don’t be greedy, it will backfire. * BUYERS: If a seller decides not to accept your offer, it has nothing to do with what great people you are and how many friends you have in common. It’s usually about the financial picture. * SELLERS: Most likely, you didn’t overpay for your house. You paid what the house was worth when you bought it. It’s exactly what the buyers want to do now – pay what the house is worth in today’s market. I’m certainly not suggesting that you don’t get frustrated or upset if you are taking a loss or not netting what you had planned, just don’t take it out on your potential buyers. What you “want” and “need” to get for your house is irrelevant. Buyers will pay what they feel it is worth and their mortgage company will lend based on what they feel it is worth. 3. WORK SMART. CHOOSE YOUR REPRESENTATION CAREFULLY. * Work with real estate agents and attorneys with whom you are comfortable and have trust. This isn’t the time to cut corners and do someone a favor. You deserve to have the best people on your team. * Every transaction has their “thing” – something that needs to be clarified, negotiated, extended, explained. Know this ahead of time so when your own situation arises, you know that it’s normal and just needs to be dealt with. * SELLERS: Keep in mind that the buyers are now going to have your former neighbors as neighbors. * BUYERS: Keep in mind that your soon-to-be neighbors are your sellers’ current neighbors. People like to talk, especially about real estate. At the end of the day, it’s about common decency. It’s about mutual respect between the buyer and seller of the same house. As much as this is a business transaction, it is even more a personal one.